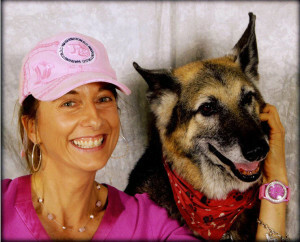 Co-founders Lara Love & her beloved dog Red. You can see & read Red’s Story HERE. My name is Lara Love, and I’m a 100% Jewish blessed believer in, follower, daughter, and servant of the Lord Jesus Christ devoted 24-7 to the Lord and ministry. My life’s calling is to be on the road for Jesus full-time helping people find and forever faithfully follow the Lord Jesus Christ through streets ministry and writing, publishing, and distributing Gospel tracts, devotionals, and books. My traveling companions are Jesus, a Bible, my laptop, a few simple belongings, and a little crew of special needs dogs the Lord often uses to introduce me to people to whom I am blessed, honored, humbled, and privileged to minister. I am a woman who was so broken for decades there was no human help and hope that could rescue and save me. You can read my personal story HERE. Today, by God’s grace alone, I am overflowing with love, hope, peace, joy, mercy, compassion, and purpose and passion beyond measure to love, honor, praise, worship, serve, and glorify the Lord forever and to help people worldwide surrender their lives utterly to Him for eternity and to encourage them day by day to lovingly, humbly, reverently, passionately, and fervently follow Jesus right here on this earth and forevermore! 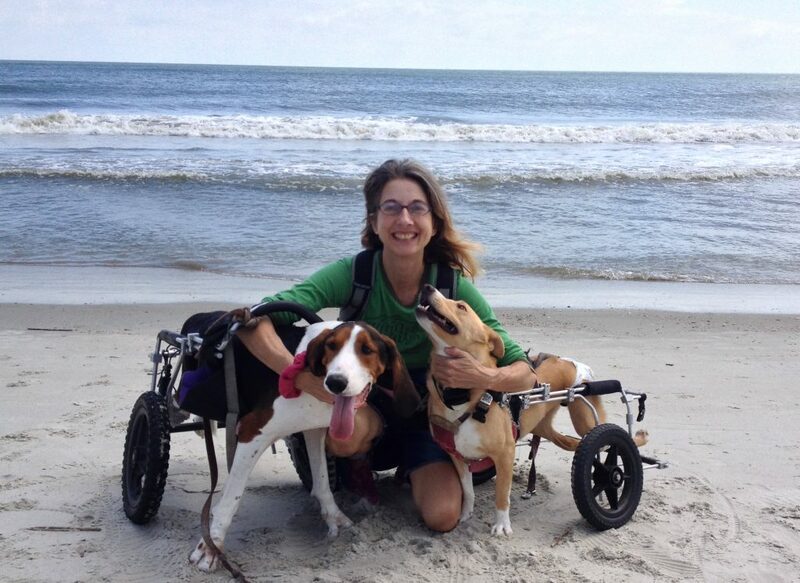 In April 2017, after about 20 years of dog rescue work caring for up to 19 dog at a time, I sold my little house in coastal South Carolina, gave away virtually everything, packed up the last of my special needs dogs and our belongings in an extremely old car, and off we went for the adventure of my life – for the love of and the glory of Christ! 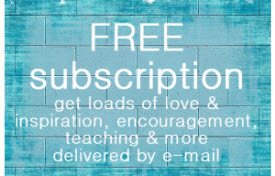 To learn how I started WALK BY FAITH MINISTRY, please CLICK HERE. I am very open about my story and welcome anyone led to reach out by telephone or email who might like to hear more about my testimony and most importantly to receive love, help, hope, and encouragement in finding and developing a forever relationship with the Lord. While I have a heart for the broken, lost, hurting, hopeless, homeless, hungry, abused, abandoned, neglected, rejected, addicted, suicidal, dying, blind, deaf, forgotten, imprisoned, depressed, disabled, beaten down, crushed, bruised, and wounded, and others in dire need, in all truth I have a heart burdened for all of humanity. We are all in need, after all. For we are nothing and forever lost without God, and the only way to be brought to forever fellowship with God is in and through Christ Jesus who is Lord. My spirit weeps over the dire straits of this world and for people worldwide who so desperately need the love and salvation of Jesus Christ. I pray exceedingly for individuals, for whole groups of people, for friends and strangers, for lost souls, for the hurting and hungry, for people everywhere, for people in extreme circumstances, for people far and near, all precious to me in my heart whether I know them personally or perhaps never will. I am not only desperate to pray. I am desperate to love. And I am not only desperate to love. I am desperate to serve. And this is exactly what I do passionately and persistently as I relentlessly pursue the Lord and His calling on my life. I go where the Lord sends me to do what He calls me to do to say what He calls me to say and to write what He calls me to write to preach the Good News of Jesus Christ and to help and encourage people to follow Jesus now and forever. I have no social life. No entertainment life. I am single on purpose to be available to the maximum to Jesus and people in need of hearing about Him and of help in following Him. I live an exceedingly simple life on an enormously economical budget unencumbered by the burdens of the earthly pleasures and treasures of this life and have by God’s grace in God’s strength for God’s glory forsaken all for Christ and for a world in dire need of hearing about Jesus and of learning how to diligently, devotedly, and unabashedly, unashamedly, and humbly live for Jesus now and forevermore! Please CLICK HERE to read my personal story and read the Gospel message. Please CLICK HERE to read Red’s Story about my co-founder homeless dog Red whom God used to help save the life of a homeless man and birth this ministry. Please CLICK HERE to read how Walk by Faith Ministry got started. Please CLICK HERE to learn about the ministry’s 5 SPECIAL NEEDS DOGS. Please CONTACT ME if you are led to get in touch.